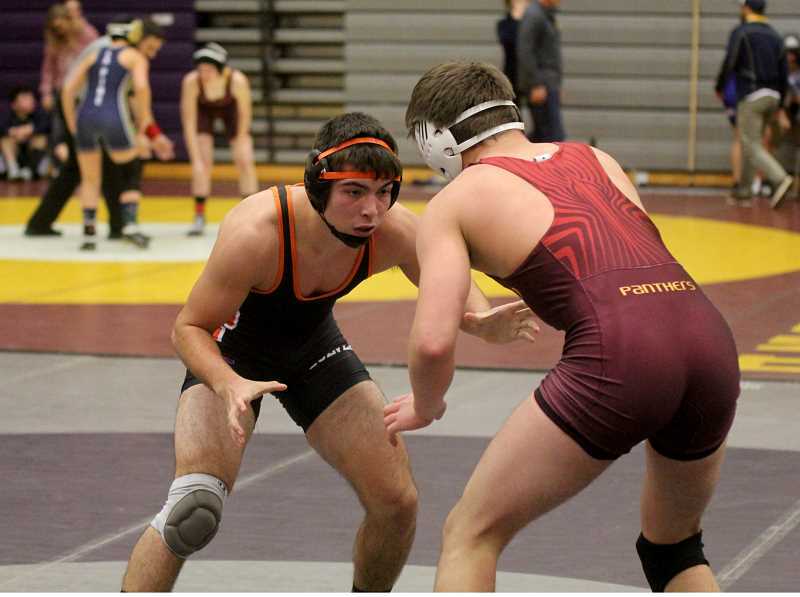 Culver places fifth at Adrian Irwin tournament at Ridgeview High School, Madras 14th. 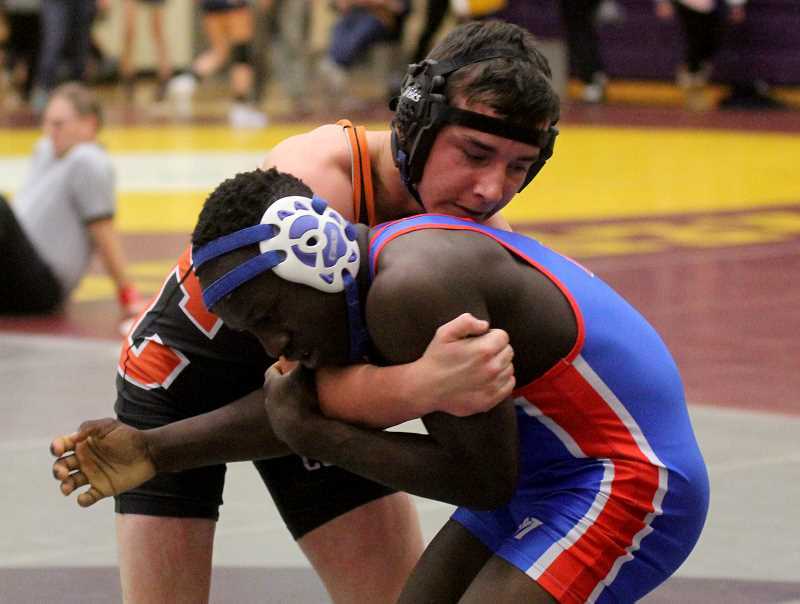 Madras and Culver traveled to Redmond for the Adrian Irwin wrestling tournament at Ridgeview High School on Dec. 21-22. Nineteen different schools participated in the tournament from all over, from small schools to the biggest. Mountain View (307), Redmond (291.5), Grants Pass (235), Burns (228), and Culver (214.5) were the schools that placed in the top five over the weekend. Madras finished the tournament with 60 team points to place 14th. Brody Piercy (108) was able to make it to the finals match for the Bulldogs, but was pinned in five minutes and 31 seconds by Carmelo Farfaglia, of La Pine. Noel Navarro (115) placed third for Culver. He won a decision match over Caleb Potts of Mountain View. At 122 pounds, Culver's own Lorenzo Vasquez claimed gold for the Bulldogs, beating Landon Robinson, of Redmond, in a 9-2 decision. Anthony Hood (134) was pinned in 1:15 by Trae Bolkin, of Redmond, placing second for Culver. Hunter Augustynovich placed fifth for Culver. He showed up for his match, but his opponent was injured and he won by forfeit. 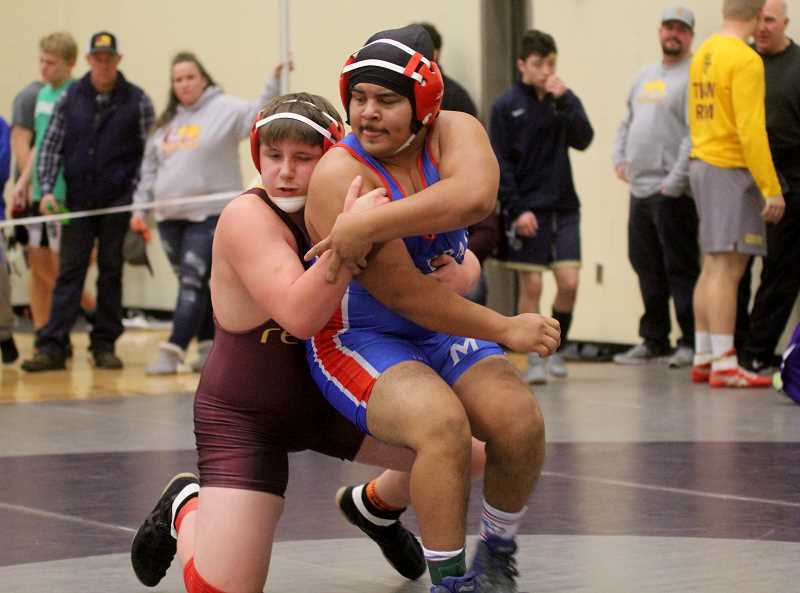 At 162 pounds, Madras wrestler Victor Torres made it to the finals match, but fell short to Carson Fassett, of Mountain View, by a 15-8 decision. Also at 162, Isaiah Toomey, of Culver, was able to pin Syrus Smith, of La Pine, in 2:37, placing fifth. Freshman Reece White faced Michael Win, of Burns, for fifth place, but lost 21-10, placing sixth for the White Buffalos. Joe Russo pinned Justin Garcia, of Redmond, in 4:31, claiming third place at 184 pounds for Culver. At 197 pounds, a battle of the undefeated with Cylus Hoke, of Culver, and Blake Olson, of Mountain View took place. Hoke lost his first match of the season by a 6-3 decision.